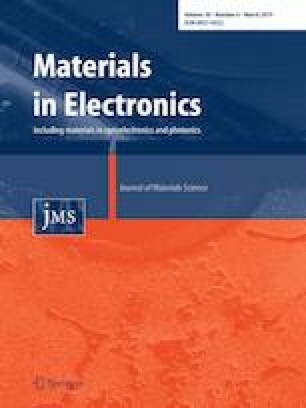 For sinter-bonding wide-bandgap power devices to Cu finished metals in air, a low-cost material, i.e., a Cu complex paste containing mechanochemically synthesized Cu(II) formate, was prepared. Characteristics of the die-attach process were analyzed with respect to the bonding conditions. Cu nanoparticles were formed in situ by the reduction of Cu(II) formate during heating for the attachment. Sinter-bonding between the nanoparticles and Cu metallization was accelerated by the exothermic heat generated by the Cu complex. As a result, high-speed bonding (1–3 min) was achieved, which prevented severe oxidation of the reduced Cu particles and Cu finish even in air. With the application of an external pressure of 20 MPa, the Cu chips were bonded in only 1 min at 225 °C with a resulting shear strength of 23 MPa. Although the pressure decreased to 13 MPa, bonding occurred within 3 min at 225 and 210 °C, with excellent shear strength exceeding 71 and 39 MPa, respectively. This work was supported by the Materials & Components Technology Development Program (10080187) funded by the Ministry of Trade, Industry & Energy (MI, Korea). The authors also thank the Korean Basic Science Institute (KBSI), Busan Center for their assistance in the thermogravimetric analysis.